Given the notoriety of the group Autism Speaks, the casual observer would be forgiven in thinking it is a positive group that helps people on the autistic spectrum. However, those of us on the spectrum know that just under the surface lays a much darker role. Considered a hate group by some, Autism Speaks is focused on “curing” autism. They speak of autism as an affliction, an epidemic, something to be eradicated. There desire to identify markers for autism before a baby is born has been compared to eugenics. In a show of sympathy with parents, they have gone as far as defending parents who seek to kill their autistic offspring. They write stories about how autism ruins lives, ruins marriages, and ruins families. In truth, Autism Speaks harms far more than autism ever could. Proponents of the Judge Rothenberg Center, they support several “treatments” that are down right torture. From electroshock therapy to food deprivation, they seek to make people on the autistic spectrum behave the way they want them to behave. As a person on the autism spectrum, watching Darrell Steinberg retweet Autism Speaks on World Autism Awareness day came as a slap to the face. Maybe if he spent time actually listening to Sacramento’s autistic community rather than giving a token show of support; he’d know what a monstrous anti-autism group he’d just retweeted. However, Darrell Steinberg doesn’t care. His support for us is a few callous statements; before going back to fighting for bonuses for the police who terrorize and kill us. 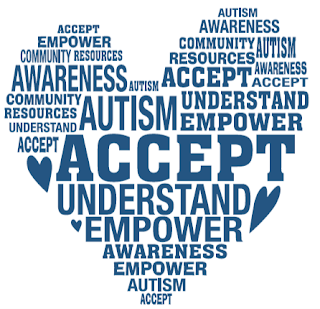 This month is Autism Awareness Month, and you can support your friends on the autistic spectrum by telling others that Autism Speaks is not a good organization. You can tell them to support the Autistic Self-Advocacy Network instead, an organization run by and for people on the spectrum. Another thing you can do is change the way you think about autism. Autism is not a disease, it is not something that needs fixing. We just look at the world differently, we aren’t broken. Accept us and stop trying to cure us. No Comment to " 'Autism Speaks' Is Not The Organization You Think It Is "